Many (not all) of the areas in Westminster Skyway have treasure chests. 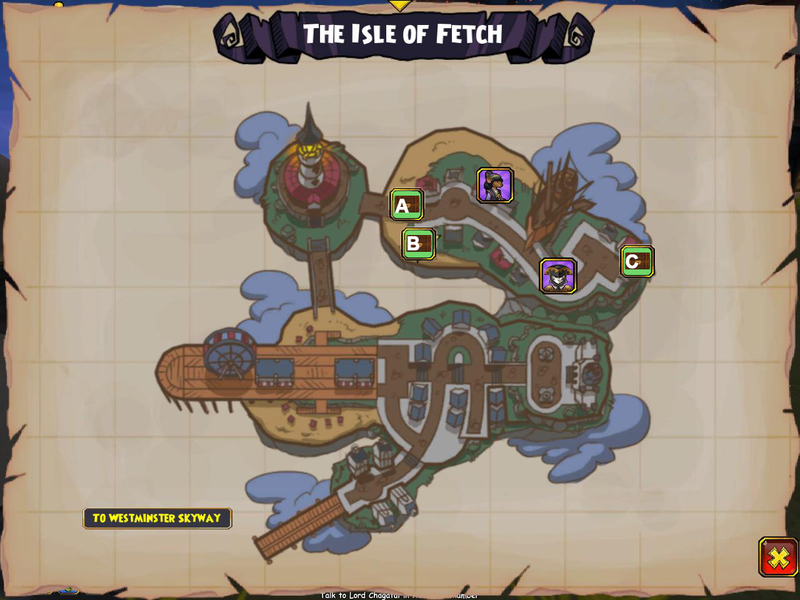 Each area has several locations where the treasure chests spawn. 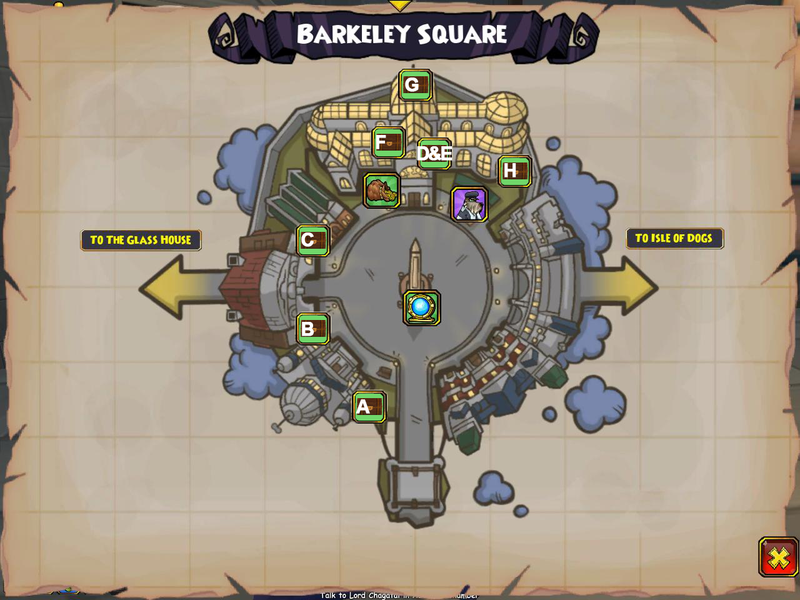 You can see all the treasure chest locations for each area marked on the map below that area's name, with corresponding (by letter) descriptions and images further down the page. Click a link below to jump directly to the area you want to view. 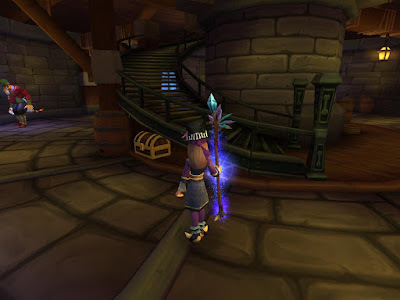 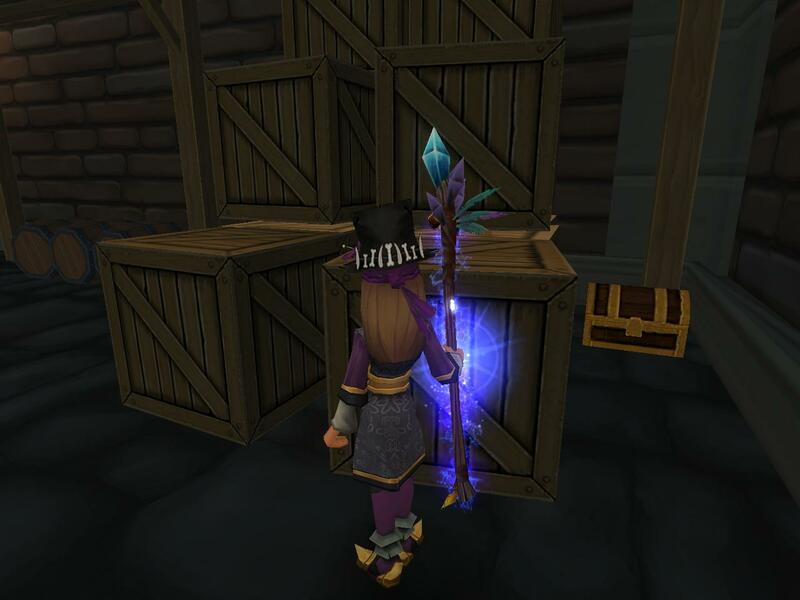 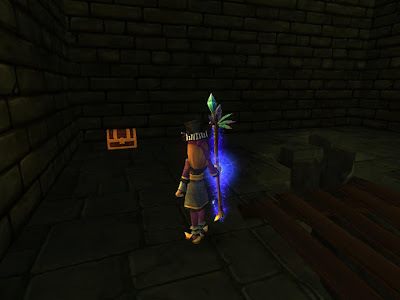 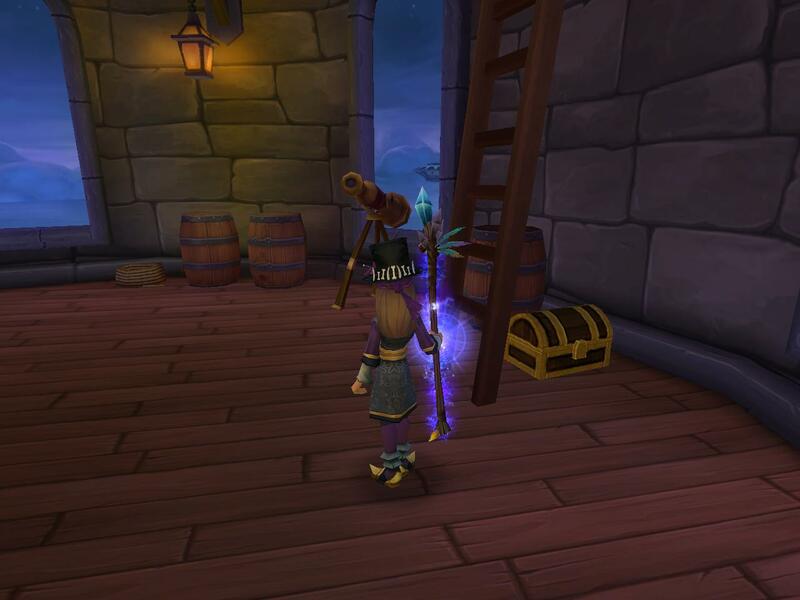 A) When you enter from the docks, there is a chest to the right of the stairs. B) Against the left side of Walkie's Hotel. 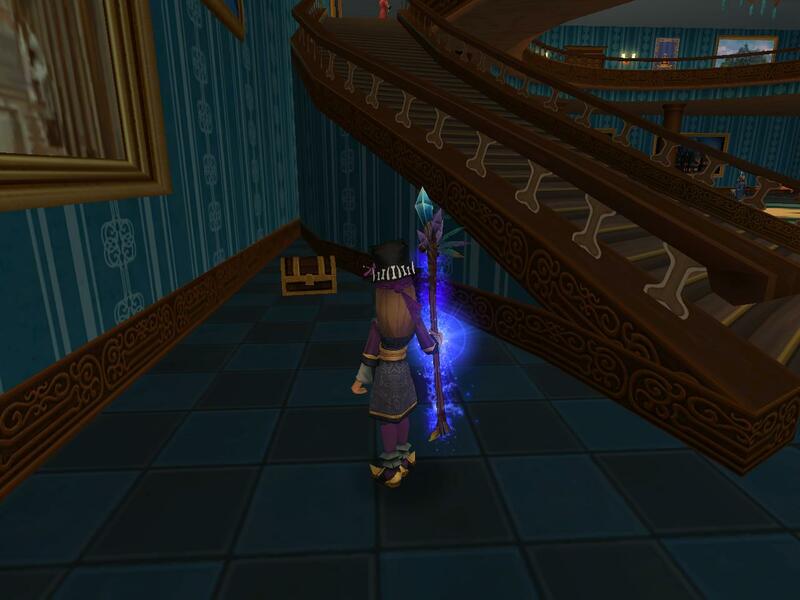 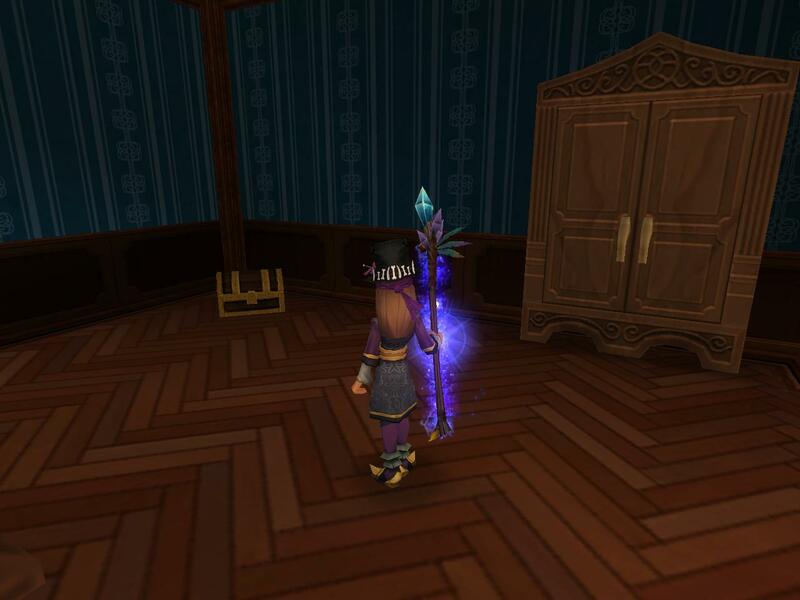 C) Go in Walkie's Hotel and there is a chest all the way at the end of the upstairs hall on the right. 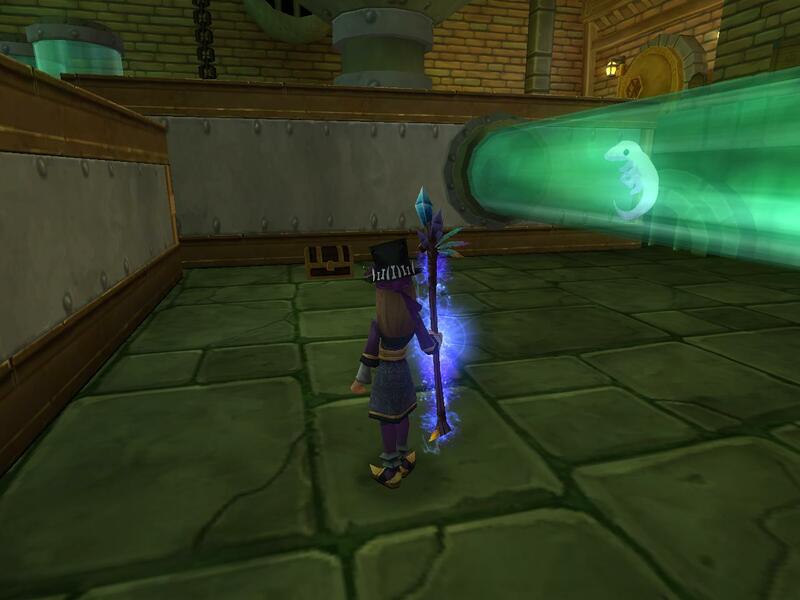 D) Enter Underworld Stronghold and when you get to the last fight (against Guy Fox), go into the room on the right and there is a chest in there. E) Go to the end of the pier and there is a chest off to the left. 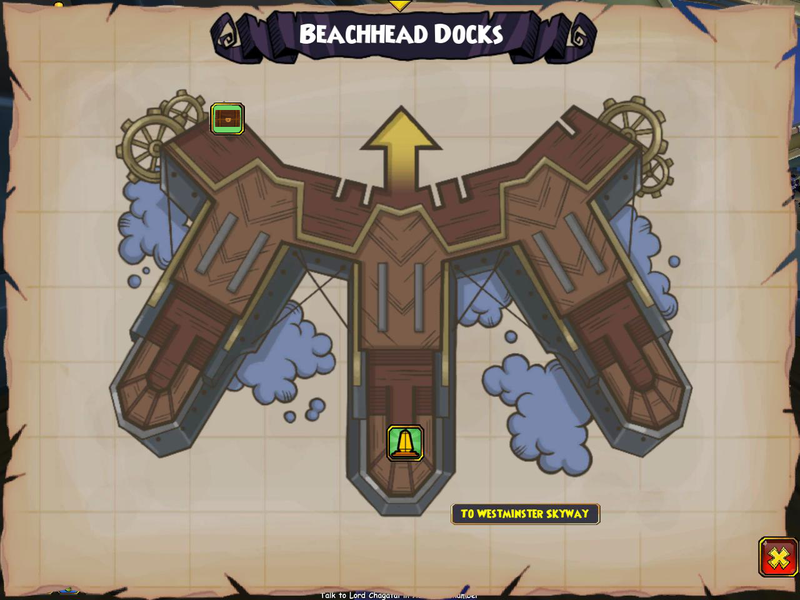 F) Go down to the beach and underneath the pier. There is a treasure chest there. 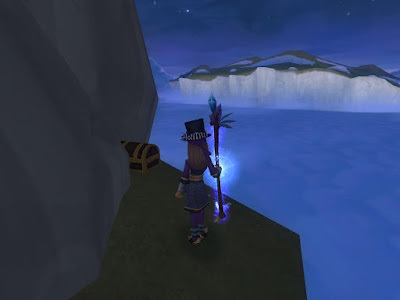 G) To the right of the lighthouse, there is a treasure chest hidden behind the rocks. 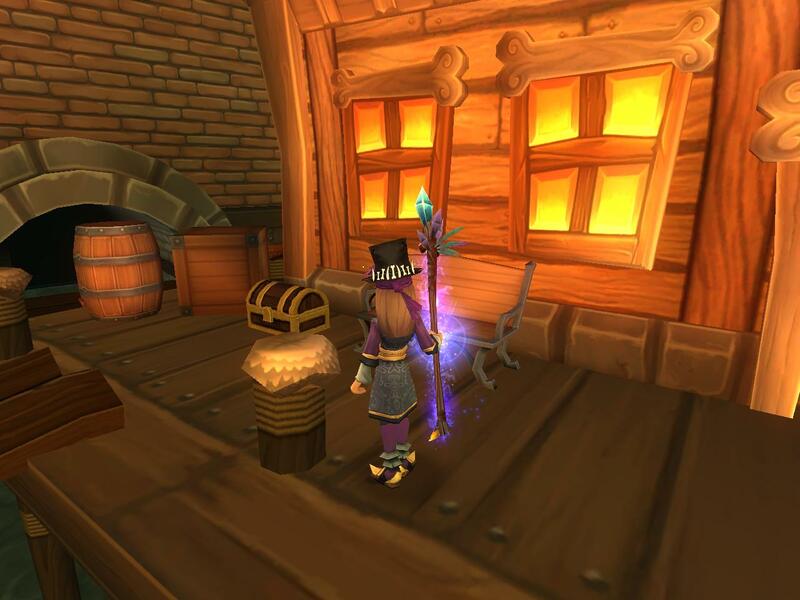 H) Inside the lighthouse, there is a treasure chest on the first floor under the stairs. 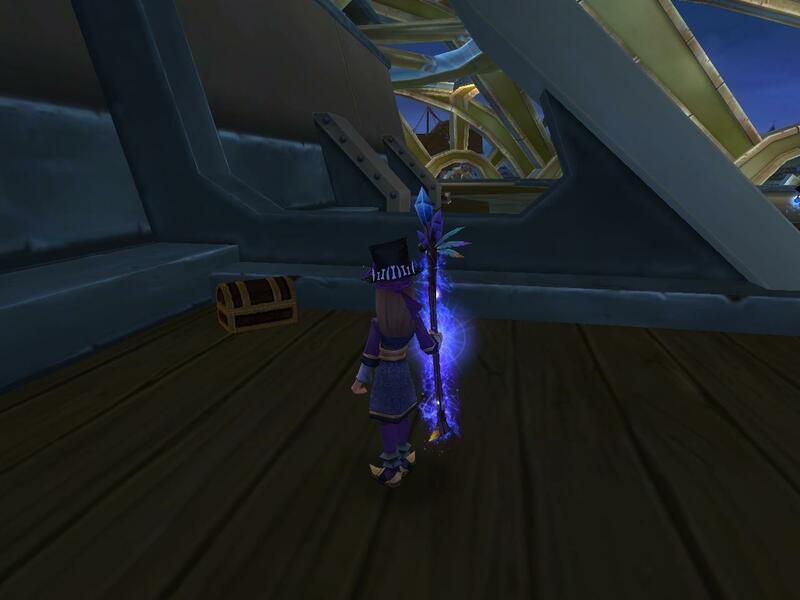 I) Inside the lighthouse, there is a chest on the third floor behind the ladder. 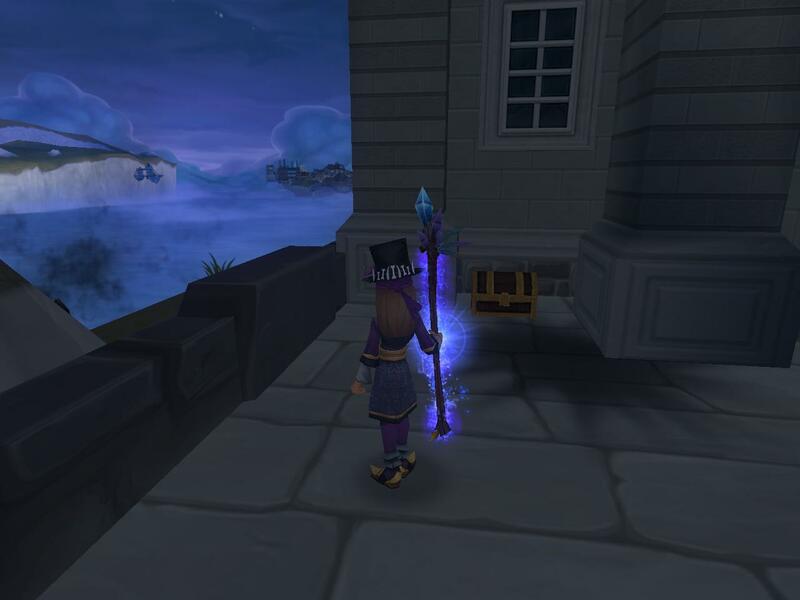 A) There is a treasure chest to the right of the bridge, next to the back of a building. 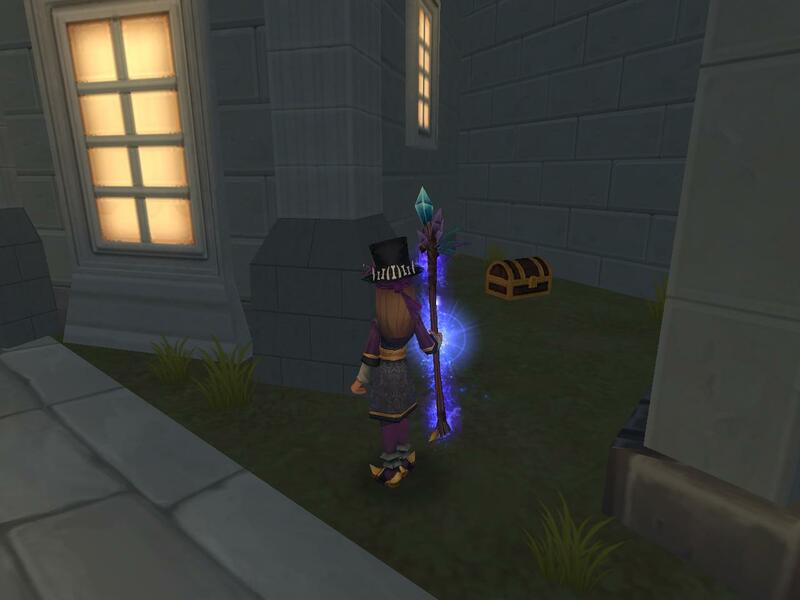 B) Right before the path that leads to The Glass House, there is an alcove next to the white building. 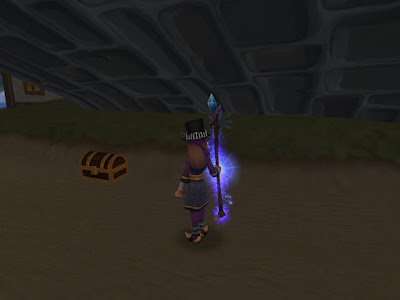 The chest is in there. 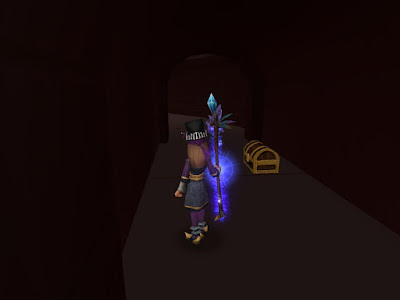 C) Run past the path the leads to The Glass House and the treasure chest is in an alcove next to the red brick building, behind the fox that is sweeping. D) Go into Admiralty Foyer and to the right. 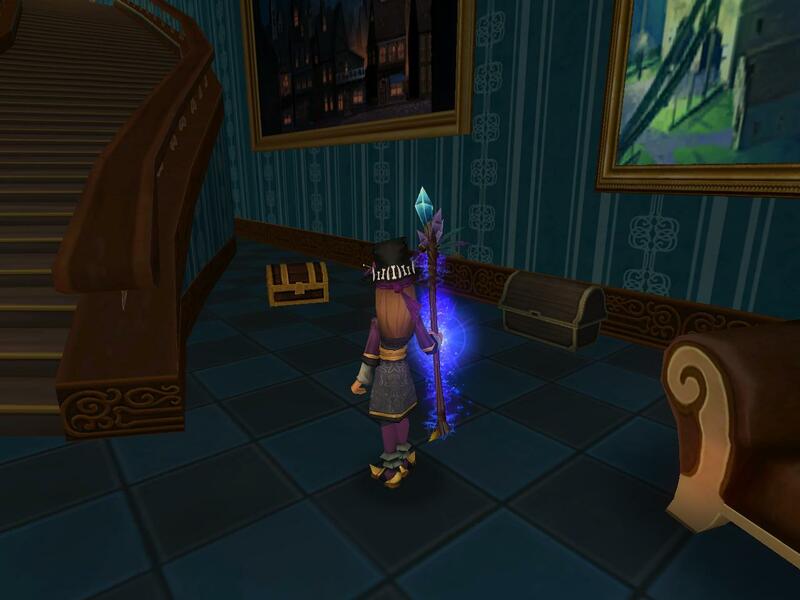 The chest is behind the couch. 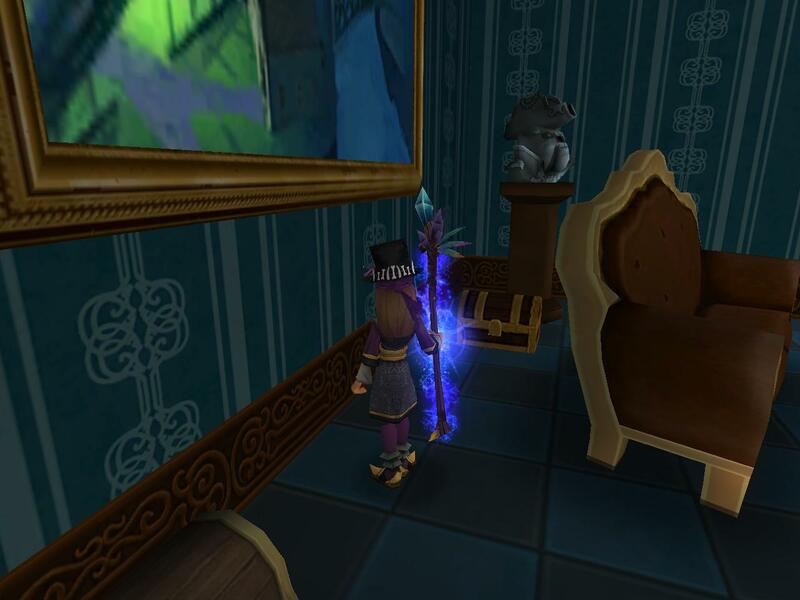 E) In Admiralty Foyer, go to the right and the chest is between the wall and stairs. 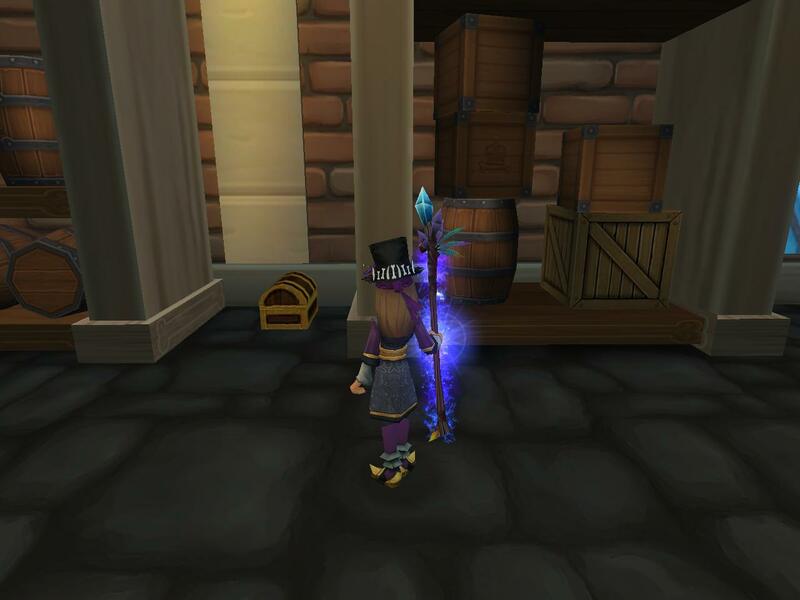 F) In Admiralty Foyer, go to the left and the treasure chest is between the wall and the stairs. H) Run behind the right side of Dr. Glendon's House and the chest is back there. 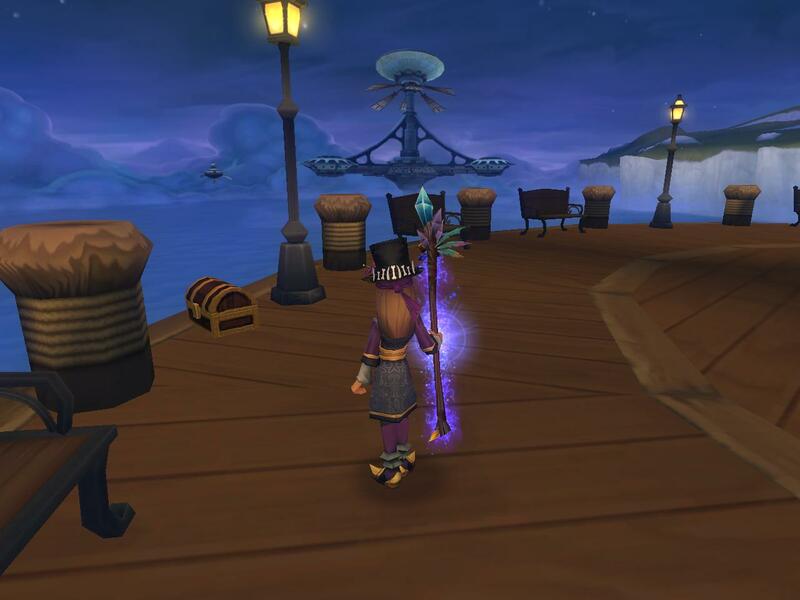 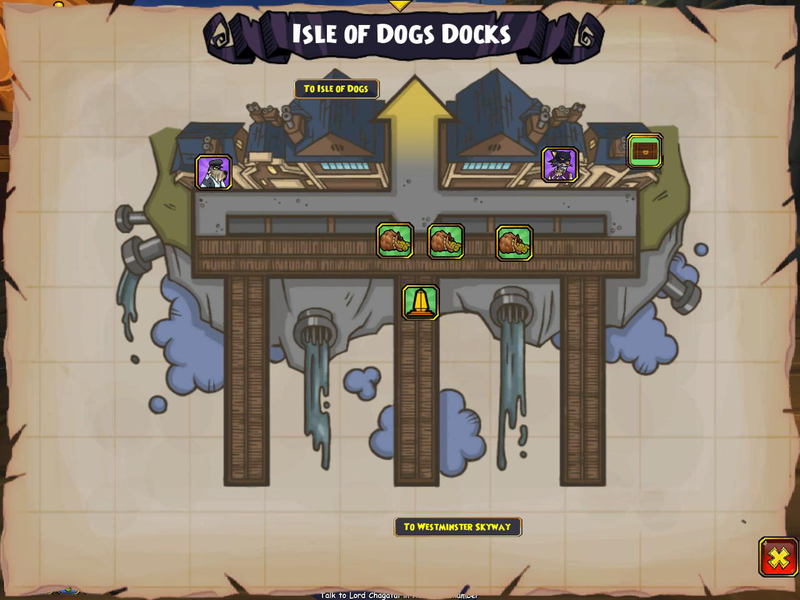 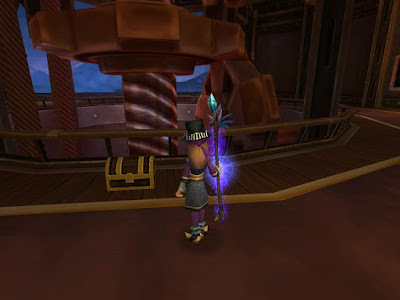 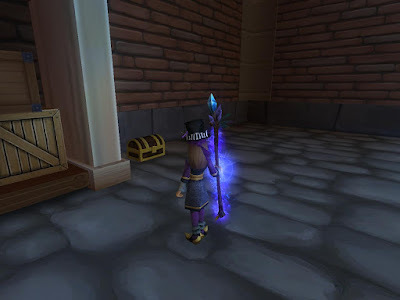 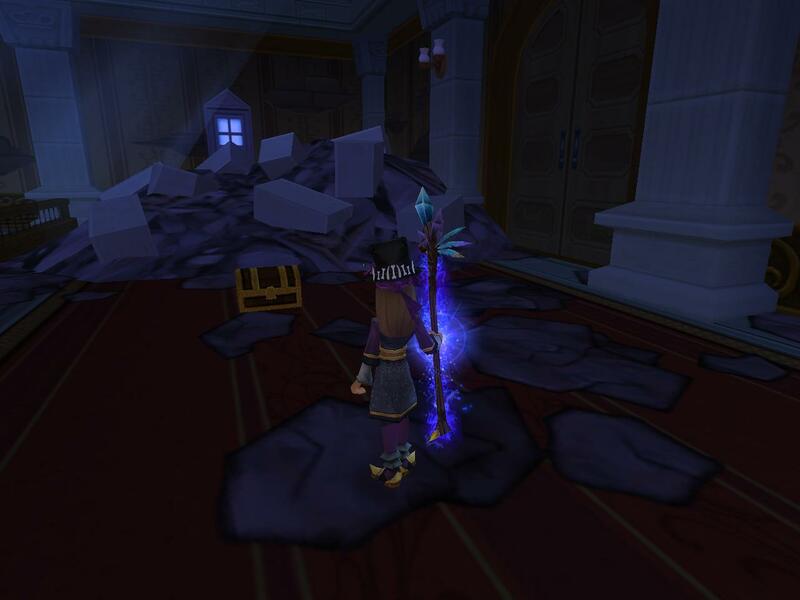 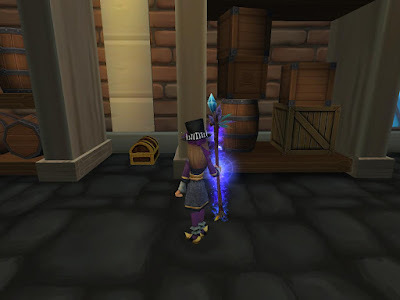 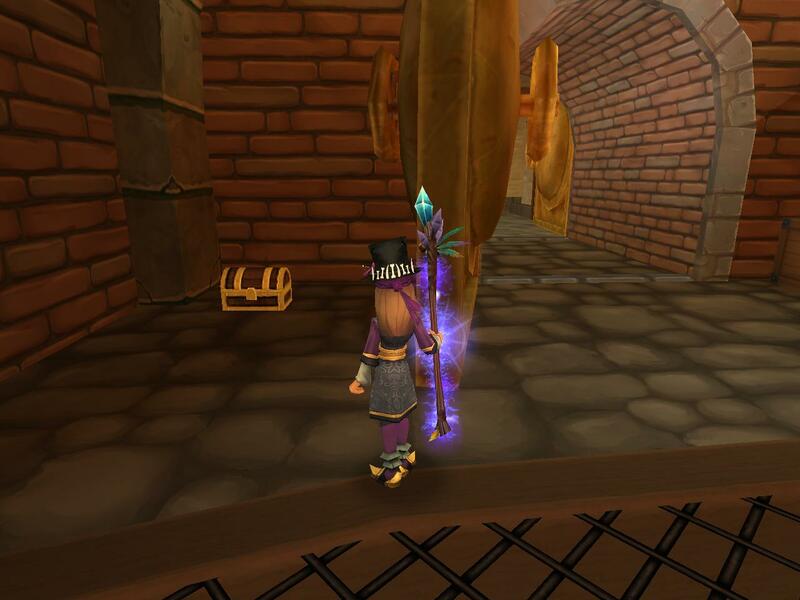 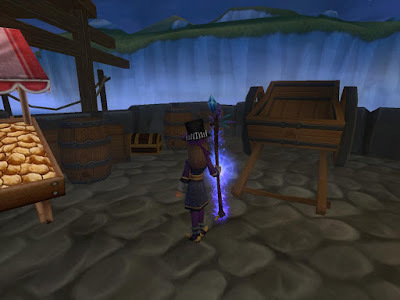 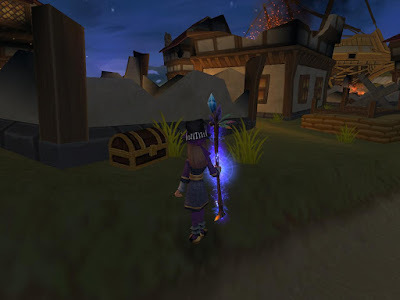 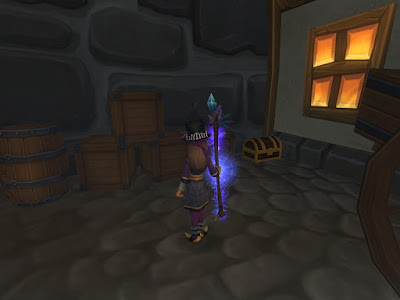 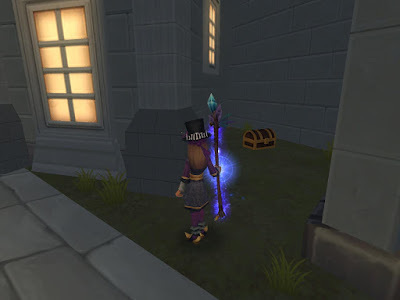 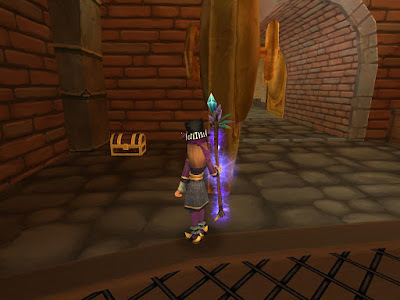 Go all the way to the top left corner of the docks and the treasure chest is in the alcove. After the second battle (fighting Bishop) go behind the big pulley and gears thing and the chest is back there. 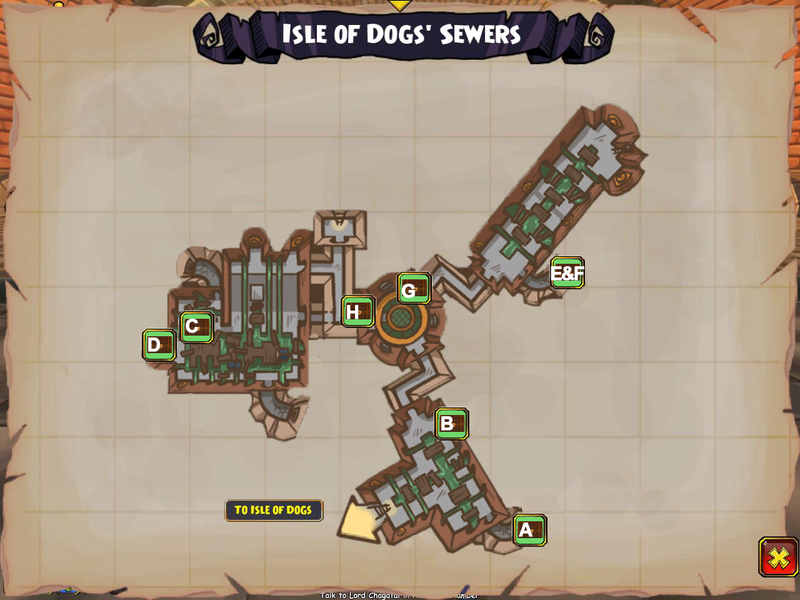 A) When you enter Isle of Dogs, go to the left and there is a chest behind the wagon. 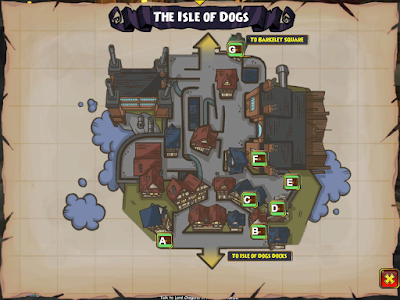 B) Enter the Squalid Hovel and stay to the right. The chest is in the last "room" on the far side of the bed. 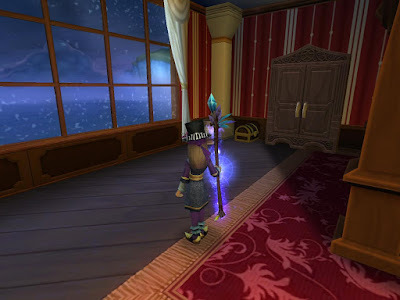 C) Go into Mrs. Chadwick's House and go up the stairs and into the bedroom on the left. 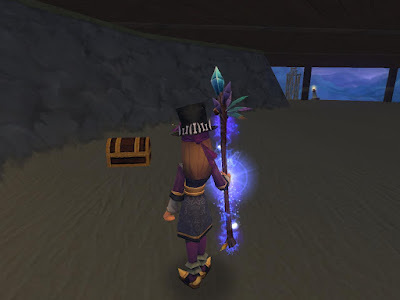 There is a chest in the back corner. 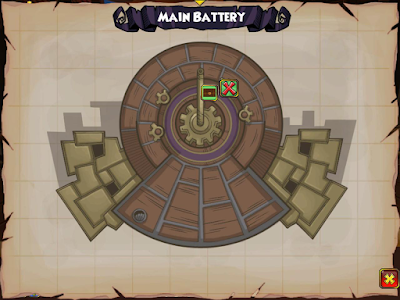 D) Go into the Cannery. Run to the right and around the corner and there is a chest between the first two shelves. 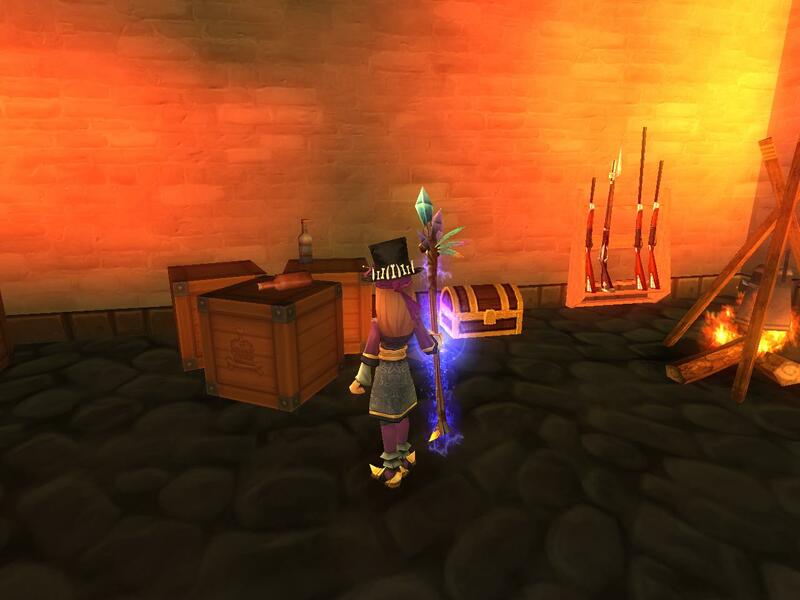 E) There is a treasure chest near the weapon vendor, between the carts and barrels. F) Go into Mann's Office and go to the back left corner. 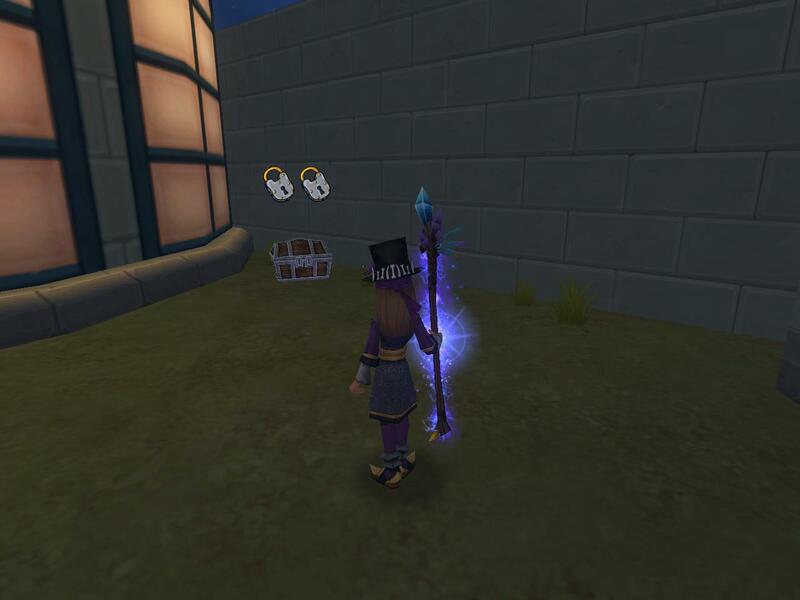 The chest is hidden behind the crates. G) Go into Scrooge's house and upstairs into his bedroom. 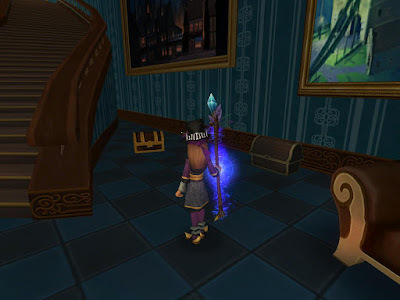 The treasure chest is on the other side of the bed beside the wardrobe. 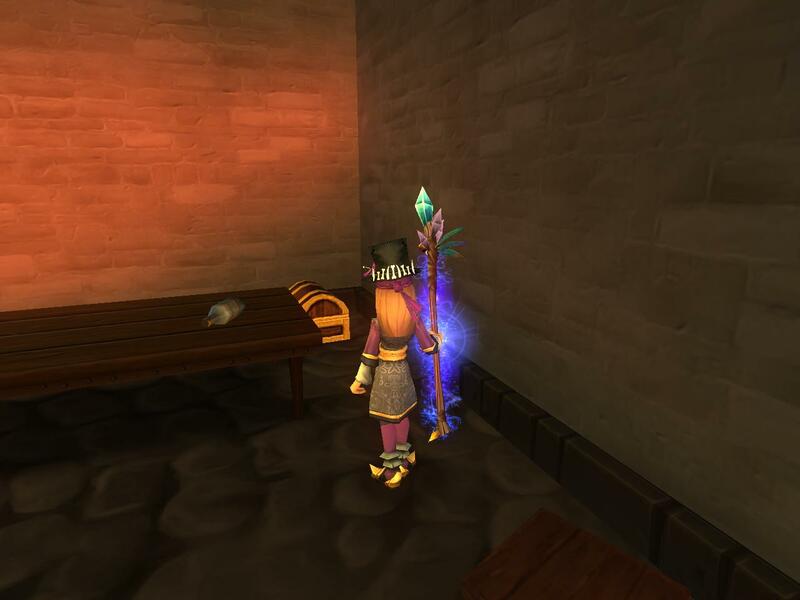 When you enter the Testing Range, go to the left and there is a chest against the wall next to the shelf. 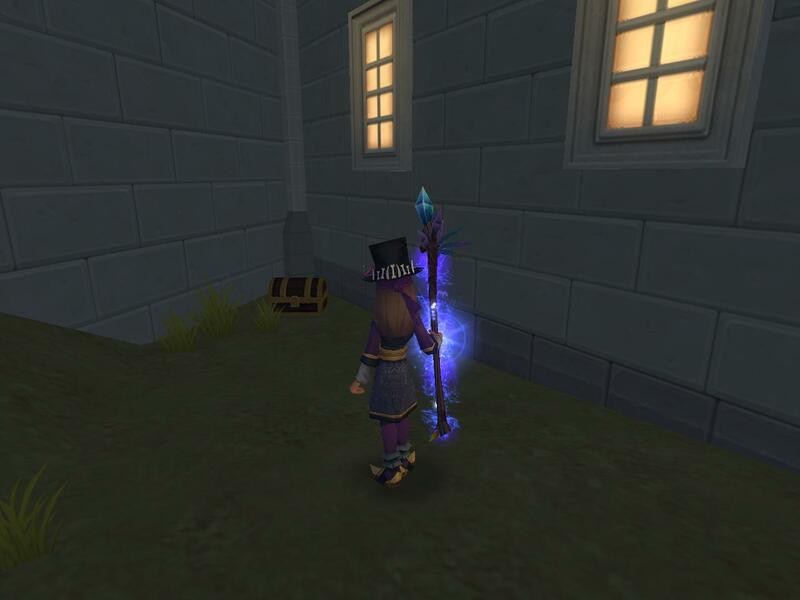 A) To down the tunnel where the Basement Hideout is and you will see the chest to the right of the entrance. 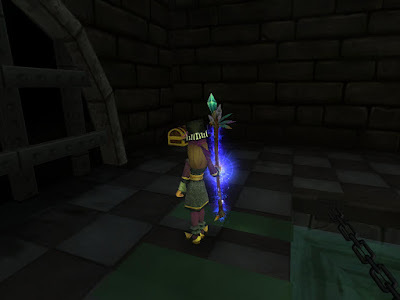 B) Go into the Crokogarten and after the battle, go up the stairs, across the back and then down the other stairs. 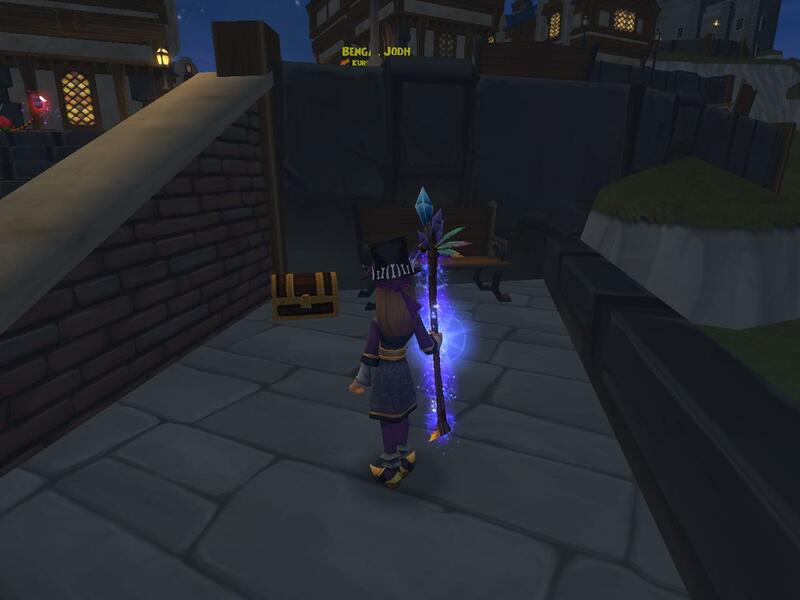 The chest is down by the end of the tube. 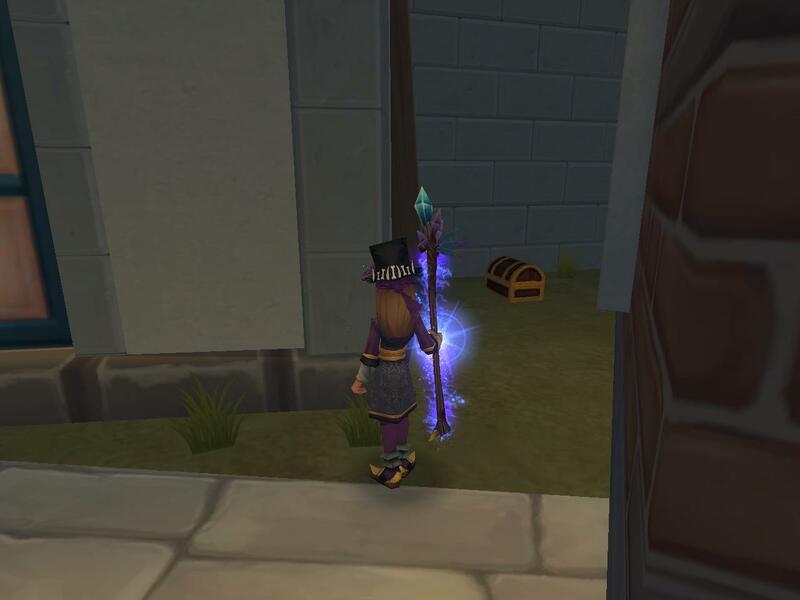 C) There is a treasure chest to the left of the door to Snail and Newt Tavern. 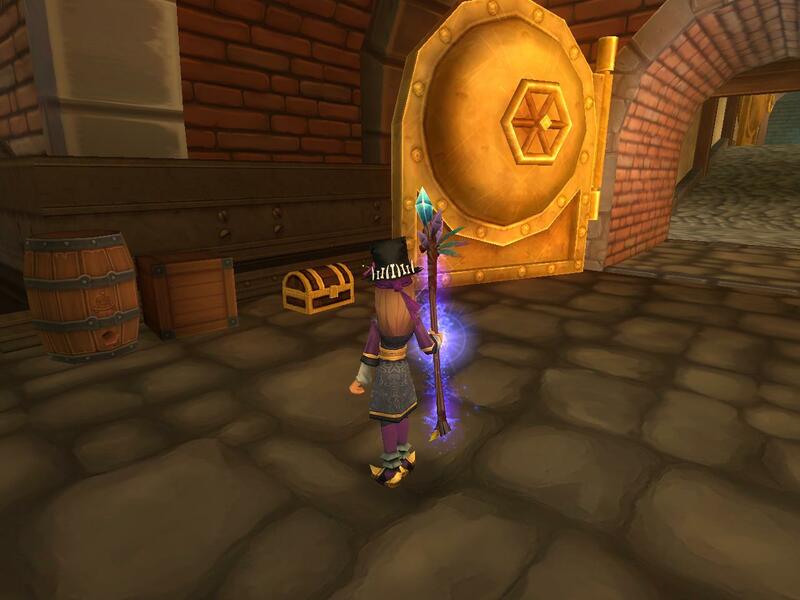 D) In LaFitte's Lair, go to the room where you fight LaFitte and go into the room on the right. There is a treasure chest hidden behind the table. E) In Red Fox's Lair, go left and then all the way to the end. The treasure chest is at the end. 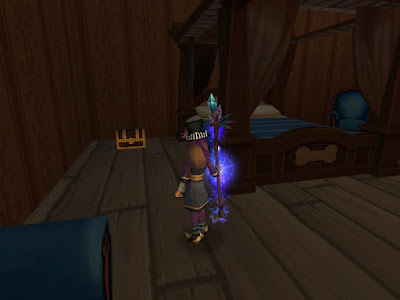 F) In Red Fox's Lair, there is also a chest in one of the rooms where you fight the Red Fox. 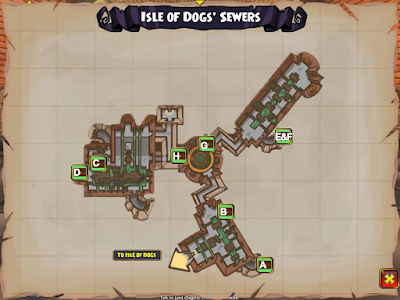 G) In the circular area, there is a treasure chest behind the metal door the leads to the tunnel on the right side of the map. 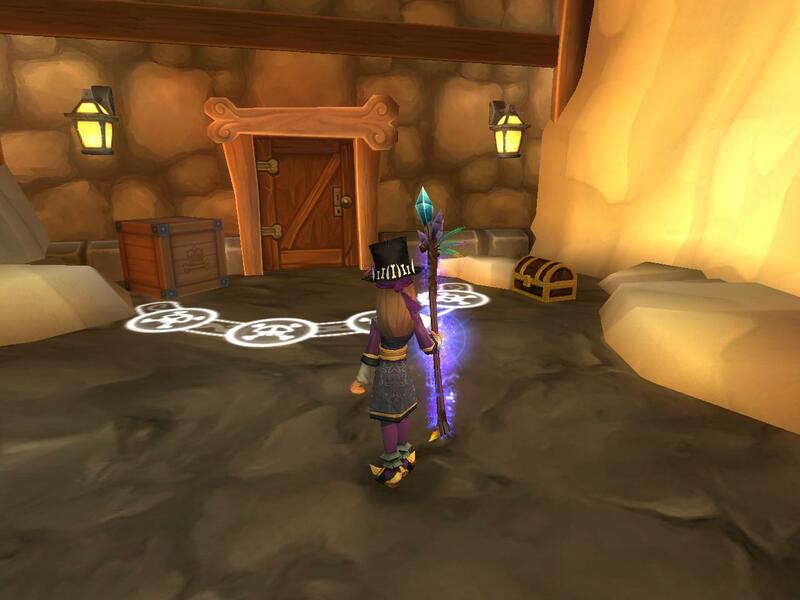 H) There is a chest next to the door that leads to the lower circular area. A) Go under the bridge and there is a treasure chest under there. B) There is a chest behind the first building on the right. 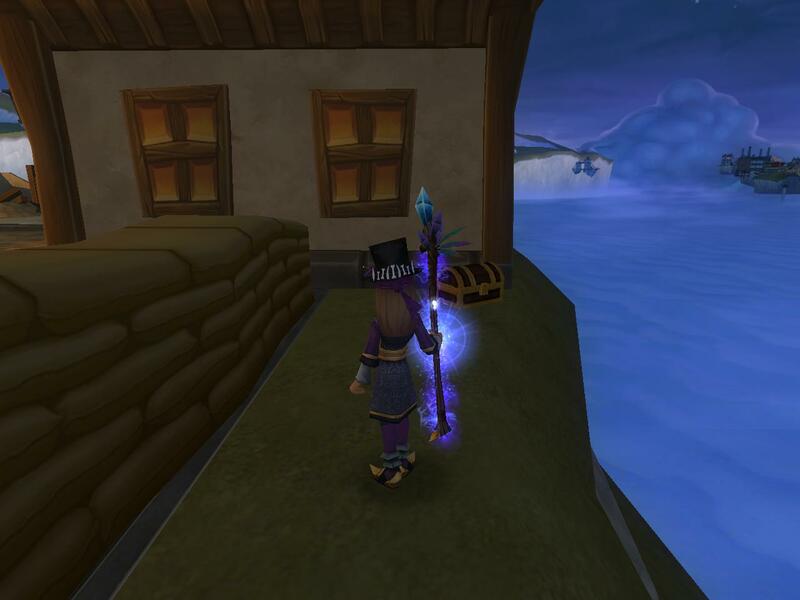 C) Go into the Armada Landing Craft instance and after the first fight, go around the outside edge of the stone wall on the right. The treasure chest is next to the house.